Now enrolling kindergarten through 8th grade for the 2019-2020 School Year! KIPP Chicago rated CPS’s highest performing network of schools for the second year in row! Encouraging happiness and success in a competitive world. Leaving a lasting, positive impact on our communities. 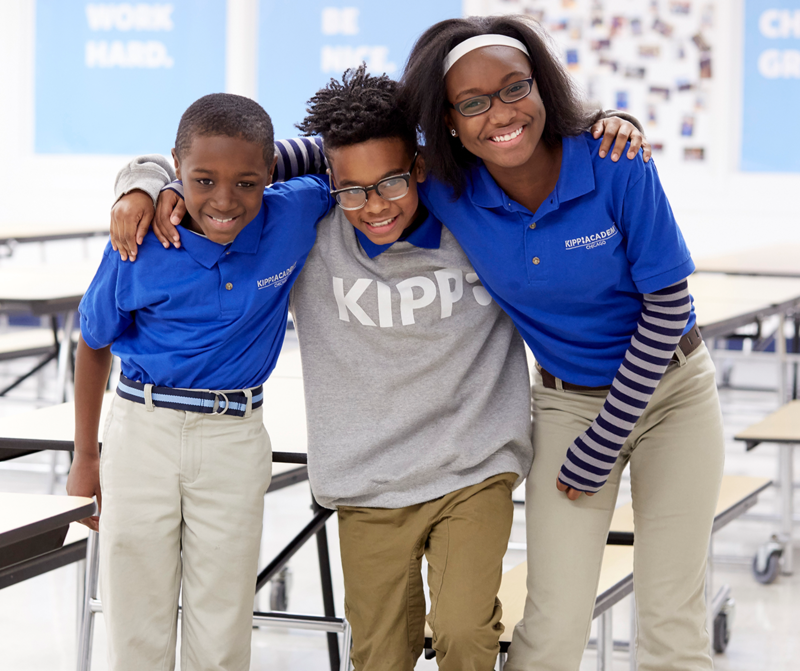 KIPP Chicago is the leading charter network in Chicago. Our schools are completely free, and there are no requirements for enrollment except residency in the city of Chicago. We create a network of schools that empower students with the character and academic skills necessary to succeed in top-quality high schools and universities, to be happy in the competitive world, and to have a positive impact on their communities. At the national level, KIPP has created college partnerships with the institutions that share our belief that a student’s zip code and family income should not dictate whether he or she attains a degree. Partner universities commit to not only admitting KIPP students, but also providing critical resources once those students are on campus to ensure that the students remain on track for a college degree. Current KIPP college partners include Vanderbilt University, Spelman College, Franklin and Marshall College, Colby College, and many more. Join our diverse and collaborative team to ensure students on Chicago’s south and west sides are truly prepared for college. KIPP Chicago fits me because everyday I feel like I'm learning to become a better teacher, even after 17 years in the business. I chose KIPP Chicago because they put relationships first. KIPP Chicago is my family and I love the people I work with. Together, our schools educate 2000 students and nearly 1000 alumni from the South and West Sides of Chicago.